(18 Mar 2012) â€“ I wrote an article similar to this topic, but using another tool. 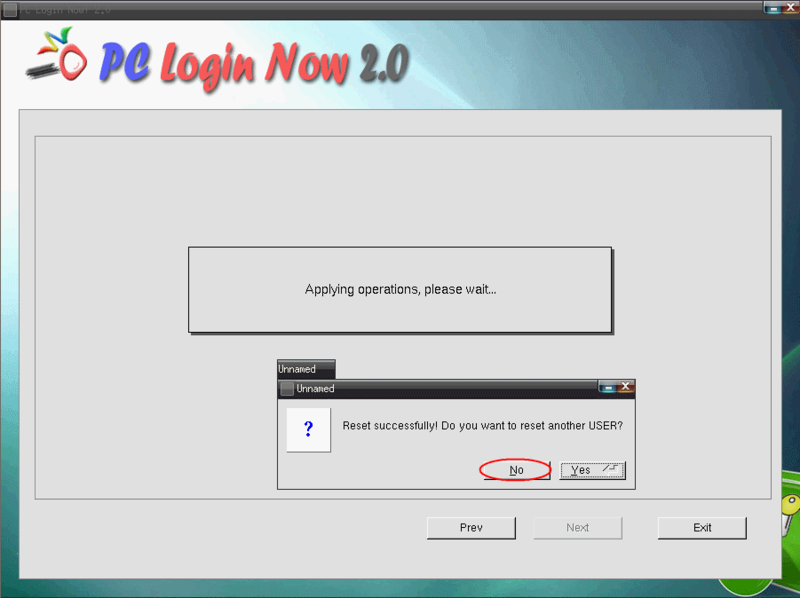 It is Offline NT Password & Registry Editor. If this tool doesn’t work in your case, you could try this one. 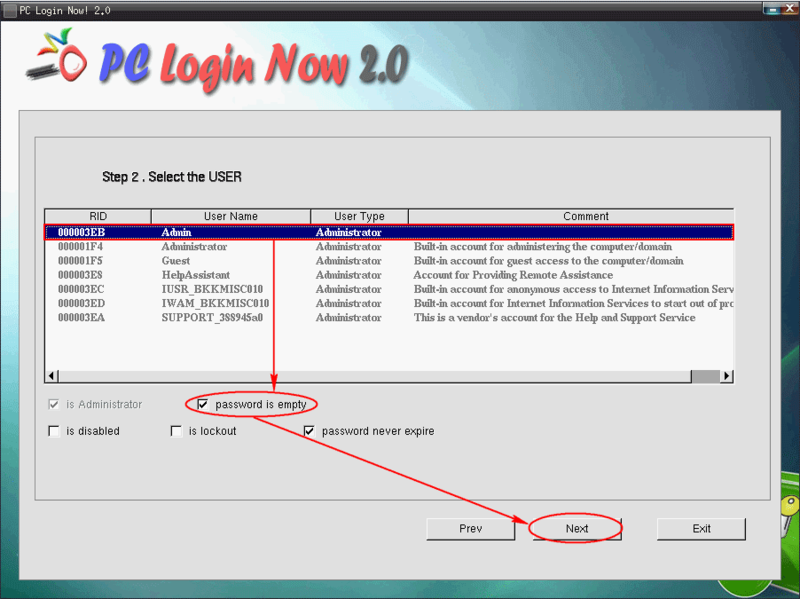 To see the article, visit How to reset administrator password on Windows using Offline NT Password & Registry Editor. If you have ever visited my blog before, you may noticed that I had written an article similar to this one already but I was using different software tool to reset administrator’s password. 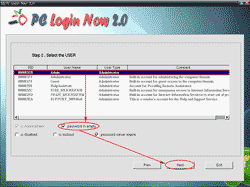 You can view the older post at How to reset administrator password on Windows using EBCD. Currently, the tool “EBCD” is already deprecated which means that the author doesn’t maintain this tool anymore. Hence, there will be no support, no new version of this tool. Note: I have strike-through the old link above to indicate that it’s an old tool and I don’t recommend to use it anymore. But I want to keep it as an alternative and for reference.Fortunately, I have found a new tool few months ago. But I haven’t time to write it until now. Reset, unlock local Windows account’s passwords. Support all version of Windows. 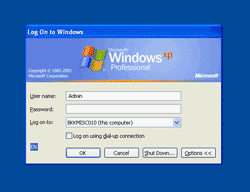 Including Windows Vista, Windows XP/XP with SP2, Windows 2003 server , Windows 2000/NT. Easy to use. It provides with user-friendly interface. Note: As the same in the old post, I won’t responsible in any damage or failure of the system if you’re using this tool. So use at your own risk. I want to recommend you to use this tool than the EBCD because it is more user-friendly rather than EBCD which is no longer support anymore. Also, PC Login Now clearly stated that it supports all version of Windows, Windows file system and many hardware. The file is .iso format. You need to burn it to CD. You can use Nero, ImgBurn or any CD burning software. Once, you have burn the image on CD. It’s an bootable disc. Insert the CD and reboot the target system. When booting up the system, you must select to boot from the CD which you’ve just created. If you see the screen like the figure below, the system is loading from CD. But if the Windows is booting up, you may need to restart and configure your BIOS to make the system boot from CD. Waiting for the CD is finishes loading up the system. You’ll see this screen once it has finished loading up. Click next to continue. It shows all available system. But normally, you should has only one system. Select it and click next. Note: You can select more than one account by hold CTRL button and select the accounts. Also, you can change other account’s attributes (enable/disabled, lock/unlock and password expire) by check/uncheck the boxes. Click OK to reboot the system. Don’t forget to remove your CD before reboot the system. Now test with the account that I’ve just reset to empty. That’s it!. I have reset my administrator’s password to blank and it works. Easy and fast!. This article doesn’t intend for hacking or cracking purpose. 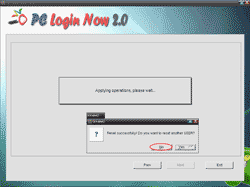 The purpose of this tutorial is for user who has forget their password and unable to access their files. Currently, there is no working solution to fix this issue yet. So if you encounter this problem, I suggest you try other method to reset password that I provided at top of this post. Note: If anyone found a solution to this issue, feel free to leave comment below. I hv tried with this tool. I was useing windows 2003 server. it reboot correctly but after reboot it’s processing but not coming step-6. msg comes some error. reboot again. can u help. The problem may cause from creating CD step or downloaded file may be corrupted. Is there any error when you burn the CD? The CD which you have created from previous steps may not completely success. I used the PC Login Tool and had success. It did however do a Windows chkdsk/scandisk on rebooting and that worried me a bit. But it booted after that and all was well. It should not run chkdsk or scandisk tool. May be something went wrong like the system was not properly shutdown. I never see this error before. Does your OS still usable? 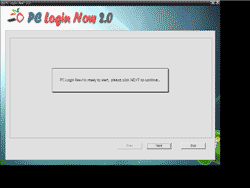 Unfortunately, there is no support for this tool from the author – http://www.pcloginnow.com/. just finished downloading “PCLoginNow” ill try it. ill post the result later. thanks and wish me luck! hope this one works. When trying to use on a Windows 2003 Ent Compaq server i recieved the message contract “Take your own risk” for technical support “Video is ATI technologies Inc Range XL, using Xorg(ati) Server” Can you please assist? When did you get this message, I mean which step in my post? I guess you saw this message when loading PC Login Now. I think this application doesn’t has the video card driver of yours. If you can continue to next step, it should be OK. Otherwise, you may have to try other software, like EBCD. But I’m not completely sure about this. Just a guess. If your server contains important information, I suggest you backup it first. If anything goes wrong, you can still restore the data back. “It did however do a Windows chkdsk/scandisk on rebooting” [Craig] means that the dirty bit is set on every volume it mounts. I’ve tried all the free tools offered by this publisher. All the self-booting tools have similar issues on a Dell Latitude D610 [absolutely the world’s most generic boring corporate laptop]. After the Linux distribution boots, the GUI flakes out [video artifacts and mouse-cursor ghosting]. 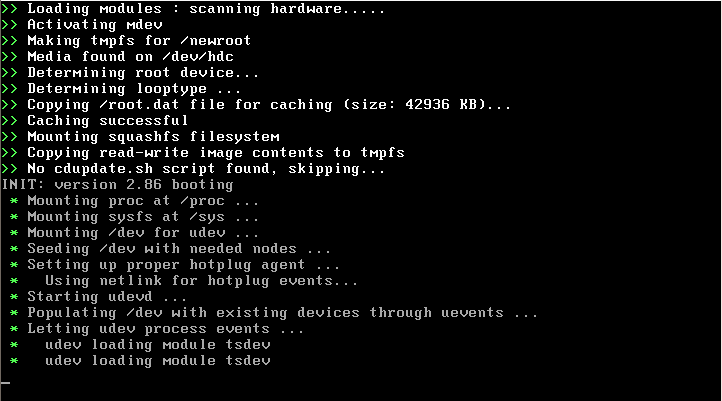 Other self-booting tools with a GUI [like Opcrack] works fine. So does a console-based tool for resetting local Admin accounts called chntpwd [Petter Nordahl-Hagen’s Offline NT Password Editor] which, quite frankly, I’d trust more than anything from this publisher. I had a similar problem as Craig on a Dell Dimension 8250 with XP Pro. After using PCLoginNow, when rebooting, system wants to run CHKDSK. Other than that, great tool, works like a charm! Is it normal for the process to stall at Step 4? as of right now it has been sitting on that command text ending with “Ok, booting the kernel.” visual for over 10 minutes. just wondering how/why/or if this is okay or what to do about it from here. Video is ATI Technologies Inc Radeon RV200 QW [Radeon 7500], using Xorg (radeon)server. linglom, nvm. Please ignore my previous post. I removed the video card and all problems solved. I already removed admin’s passwords. Thanks. i have a vista do u think it will work? Yes, it is stated on the website that supports Vista so it should works. Hi Linglom, I have the same problem with Safari but the difference is the video card, mine is nvdia and my compaq is a laptop. please help me. thanks. An enterprising teenager used PC Login Now to give himself Admin privileges on a machine running Vista Home Premium. When I (a user with Admin privileges) try to reset his account to Standard User (using the Control Panel / User Accounts), I am able to click the Standard User radio box, but it has no impact, i.e., the account remains an Administrator one. Help? It seems that the program (PC Login Now) doesn’t recognize your video card so it can’t continue loading its system. I can’t help in this way. You may need to try other program. Is there any error message when you were setting the account? I’m not expert in Vista. But if you can’t still solve the problem, I would recommended to delete the user account and re-create again. Be sure that you backup important data on the user account before delete it. Did you have the OS on other drive than C: drive? I try to run the CD on other computer to test if the CD works fine. If the problem is persists, I recommend you try other way. I have an article about the other tool (EBCD). I will try to burn the CD again. If that doesn’t help, try the suggestion that I gave to Linkin. worked like a charm!!! thanx! I Put The CD In The Drive But It Wont Boot It 🙁 What Do I Do???? You may have to check the BIOS for boot sequence configuration. Ensure that it set to boot from CD-Rom before Hard disk. But if you’re not familiar with BIOS, I’m suggest don’t try to set by yourself. Misconfiguration in BIOS may cause serious problems. How do you fix the video card? any feedback pls. i have IBM T30. It’s seem that PC Login Now doesn’t recognize your graphic card. The possible way is to change the graphic card to other serie. But since you are using a laptop, I think it’s not worth to change the graphic card (it’s quite difficult). So I recommend you try other software instead. I have mentioned the other tool in the introduction section. Have you tried as the article? Doesn’t it work? I used this program, I selected all the accounts and checked the box to “password is empty” and after I clicked OK to reboot the system, it rebooted properly, and it brought me to the screen where you type in your password for whatever account you used. I tried just hitting enter, and it said the password was incorrect. It did this for all the accounts. Please help? I followed the instructions exactly but it still says the password was incorrect. PC Login Now is a fantastic program, but i can’t get it to work in combination with a RAID 5 configuration. Is ther a way to use pc login or is there another tool. From what you told, there wasn’t any problem while you were resetting the passwords but it doesn’t work. What’s Operating System you’re using? 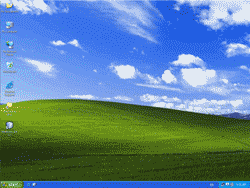 Windows XP? Vista? First, I would recommend you to try reset password again but try only single account at a time. If the account is locked out, don’t forget to unlock it. If it still doesn’t work, I suggest you try other tool. I think most of the tools don’t include driver for RAID 5. But it may be worth trying the tool that I have mentioned at top of the post. Worked great on a vmware install of xp pro. I’ve tried using this tool on an acer inspire but when it boots it displays there was some type of error with the graphics card but it works fine on my dell laptop. Any ideas what might be causing this?? It can be that this tool doesn’t have your graphic card’s driver so it can’t continue booting. When the system hangs, do the Num Lock and Caps Lock button work? If the screen changes too fast, you can try to press Pause button (near Scroll Lock button) to pause it. And just press any key to continue. Worked as described on a VM of XP Pro (VMware). Chkdsk ran, but started after that w/o problems. Thanks! Is the error message as same as before you reset the password? Is there any error message while you were resetting the password? Hi linglom, i tried it on vista ultimate 32bit and I was having a problem saying invalid Loop location: root.dat and cursor blinks at /newroot # _ Any suggestion? 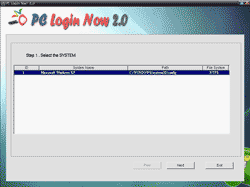 I have downloaded Windows Password Recovery Tool 3.0 . it not only supports XP, 2000, and NT, I have personally tested it with Vista Home Premium and Ultimate. It works perfectly to reset any local user account to a blank password. I Wrote it to an old 128mb USB flash drive do this. Booting up and clearing a password takes a minute or two works like a charm. I tried this on a laptop(windows2000) and a normal pc(xp). I can’t get to step 6 on both systems. On the laptop when the loading finishes i have to press enter to reboot. On the other pc it automatically reboots after the loading. Is there any error message? It could be that some of the drivers loaded by the software don’t work properly. i’ve got a major problem..
right after the cd finishes loading up the system..
my monitor goes blank and i can’t do a thing. On the desktop pc, there is no clear error message because the system immediately reboots, so there is hardly any time to see if there is an error displayed. But because the program behaves like this on multiple pc’s I think either the file is corrupted or something went wrong in the burn. So I might redownload the file and try again later. I did get the administrator on the laptop with another program but that program gives an error on the desktop after listing all accounts on the pc. 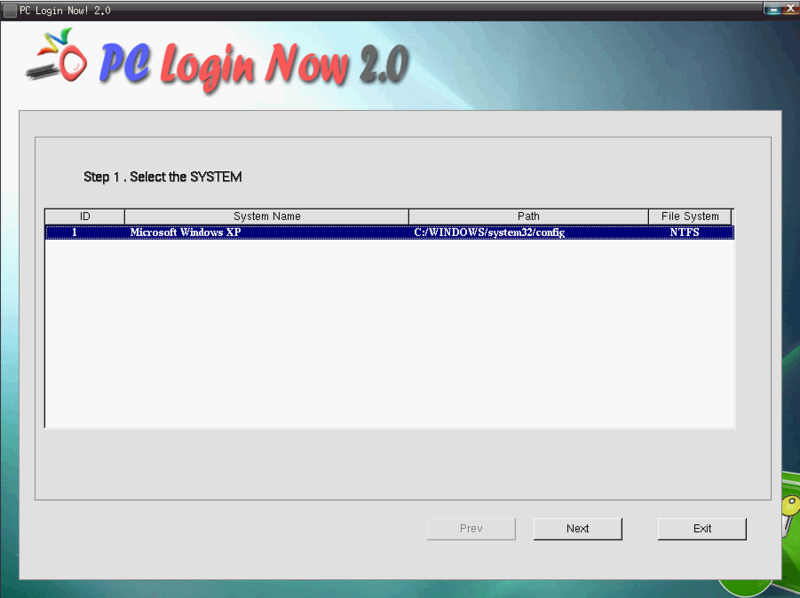 For anyone interested the program is Offline nt password & registry editor, and works very similar to pc login now. Have you tried the file on my download page? The file may be a little old but it is the usable one. McAfee SiteAdvisor warns about brothersoft.com so you should avoid it. My problem is that a virus invaded my computer and did something to my admin password – it doesn’t work anymore and I’m locked out. Fortunately, I have a user account that doesn’t require a password but I have no administrative privileges. So, I tried the Peter Hagen Offline NT Password Editor and got as far as entering the path directory but it wouldn’t accept the default path or anything else I tried to put in. Today, I tried the PC Login Now and got to step#6 (ready to start, click next) but my mouse is dead in the water. I tried another mouse with same result and the original mouse works fine after I exit PC Login Now. Does anyone have any suggestions before I call the geek squad? This thread talks about how to solve your issue – http://www.ultimatebootcd.com/forums/viewtopic.php?t=1576. If you feel that it’s a bit complicate, try EBCD tool which I have stated on top of the post. Can you use the keyboard instead? Use arrow keys to move between a button and press Enter to select. No, the arrow keys did not respond. By the way, the PC is a 2005 HP Pavilion a1210n, AMD 64 Athlon, XP 2002 SP3. I have a larger problem now…BSoD showed up shortly after I tried to run OPHCRACK free download to reset my password. I’ve since read that OPHCRACK may not be a safe download (woe is me). Here is the error message – stop: 0x00000024 (0x00190203,0x861E1EF0/0x86364EF0,0xC0000102,0x00000000). I get the 861E1 code when trying to start Windows normally or last known good configuration. I get the 86364 code when trying to start from any of the safe modes. So, I can’t get to Windows and I cannot get a command prompt to run chkdsk but I can do a restore (to factory settings) which I don’t want to do. I think I need a bootable disk that will clean my registry, partitions and check for other corruptions. Can you recommend something or do you know how I can get a command prompt (not getting one from safe mode). I’ve tried to run Registry Mechanic 9 (another free download) from PC Tools but it doesn’t run – goes to BSoD. The code 0x00000024 indicates that there may be data corruption on the disk. You should run chkdsk /f /r to fix the corrupted data. Hiren’s BootCD is a bootable CD that may help you. There are countless options on the Hiren’s BootCD. Can you suggest the ones I should try for my 0x…24 problem and in what order? You can use NTFS4DOS on the CD to run chkdsk command. If it doesn’t solve your problem, re-install Windows may be the best solution. Our admin while quit his job, changed the our windows 2008 server admin password, Our Server is two hardsisk using hardware raid â€“ its SATA drive. I tried to use MiniPEboot, hIREN boot cdâ€™s they could see the harddrive in first place. Does PC login has solution for above issue. I finally solved my BSoD problem. Since I could not get a command prompt to run any diagnostics/fixes, I removed the hard drive and installed it on a “host” computer. Crossed my fingers that it wouldn’t cause additional problems with the host computer…it didn’t. The host computer immediately detected the OS problem, ran checkdisk and fixed the errors. Next, I scanned the HD with MS Security Essentials, found 2 trojans and promptly removed them. Plugged the HD back into it’s original case and it works fine. I suspect the trojans came from Ophcrack (free download for resetting lost password). If anyone else has a similar problem, this might be the solution for you. Make sure your host computer is virus protected though. MS Security Essentials is a great realtime antivirus that is free to anyone with a “genuine” MS OS. Just do a search for Microsoft Security Essentials. I have Windows Vista Basic & have forgotten my password. My Laptop is one of the smaller Sony VAIO VGN-P530H. I do not have a CD Drive. I am using Ultra ISO & creating a Boot Image of this software. When I try to boot with the USB it takes me to the Gnome Partition Editor & gives me this message “Could Not find kernel image: gparted” Can you please help! I went to their page and clicked the download button, and after another splash page with another download button I was presented with the statement that they now only offer their freeware to people who have paid for other software. You have to enter a number indicating that you’ve purchased software from them, so nothing ‘free’ about this offer. Thank You very much for your kindness. I have recovered my password. It could be that this software does not supported on your laptop. You should try other solution. how would you put this pc login now on a flash drive to use it. My cd drive is now working and the cd will now work… thanks! Hi I wanted to know if this works on a netbook because I do not have a cd drive and have been trying to boot from my usb using this so if it does could you please tell me what I am doing wrong? I tried this on a Windows Server 2003 Small Business, the steps went fine but when i tried to log in, it wouldn’t work, i think it’s because its on a network and you can only log in through the network password which is a different username from administrator, any ideas what to do? Hey. I tried using pc login and it booted up but then shut off my monitor and nothing happened. Any idea why it’d do this? 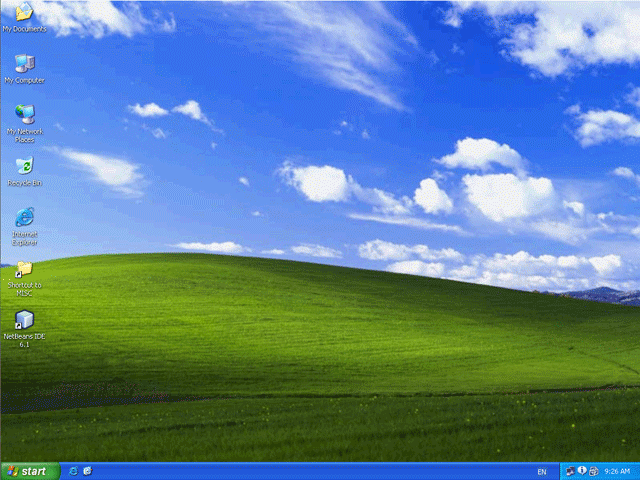 I have a gateway desktop with windows vista. Hey, this really worked once I figured it out. I finally realized tapping the keypad would not select “password is empty” box…had to use the mechanical switch pad. HELP! I have now tried Ophcrack and PC Login and both have essentially returned the same results. They basically both come up with “logical blocks” and say that it does not support DPO of FVA? Ophcrack says that it can not load the SAM files. Also my keyboard stops working. I have the same errors as above in Saad’s post on Dec 31. any help on this would be greatly appriciated. I have 2 machines, 1 running Vista and the other 7. Both get same error. I experience the same problem as saad and Lizard with the “invalid loop” problem. Also my keyboard stops working.. This is what I found that works and is much easier than most of the downloaded programs. It’s free. No download needed. You can do it with any Windows Vista or 7 install DVD. Do this by booting from windows DVD and selecting repair. ( NOT install). Get to command prompt. Find the drive letter of the partition where Windows is installed. In Vista and Windows XP, it is usually C:, in Windows 7, it is D: in most cases because the first partition contains Startup Repair. To find the drive letter, type C: (or D:, respectively) and search for the Windows folder. Note that Windows PE (RE) usually resides on X:. If you donâ€™t know your user name, just type net user to list the available user names. I recommend that you replace sethc.exe with the copy you stored in the root folder of your system drive in step 3. For this, you have to boot up again with Windows PE or RE because you canâ€™t replace system files while the Windows installation is online. I found myself in a situation where my Face Recognition software knew my password, but I had long since forgotten it. I was worried that if the Face Recognition ever went haywire, I would be stuck. I followed all the steps outlined by Lizard on April 2nd, and it worked perfectly for me (replacing “c” with “d” for Windows 7 OS). This was after trying a couple of FREE methods that involved downlading software, creating a boot disk, etc . . . both of which did not work. One method wouldn’t boot at all, the other gave me the “invalid loop” error. I have the same problem. Something is wrong with iso image. The workarounds in the forums are not helpful, it doesn’t work. Good Job Bro.. tested on Server 2003 & 7 Ultimate. I have used this tool on numerous occasions with success, but on this one old laptop i’m trying to recover, I can’t get PC Login Now to work properly. I select the account to reset, tick the “password is empty” checkbox, then when I click NEXT the program closes and it doesn’t reset the password. Does anyone have any ideas? Did you see any error message while it was loading? Anyway, it may be too difficult to troubleshoot and fix the problem. So, I suggest you try the other tool that I mentioned at the top of this post, Offline NT Password & Registry Editor. Sometimes, one tool doesn’t work, other may work. Hello, I’m facing the same issue AJ was having. The error message is “Could Not find kernel image: gparted”. Does anyone know a solution? This program is obsolete. I suggest you check ‘Offline NT Password & Registry Editor’ which I included the article link at top of this article. Excellent post – I Appreciate the facts . Does someone know if my company might be able to grab a fillable OH BMV 1173 form to fill out ? Excellent post . I loved the specifics – Does anyone know where my business would be able to find a template NICB ISO ClaimSearch Form copy to type on ?